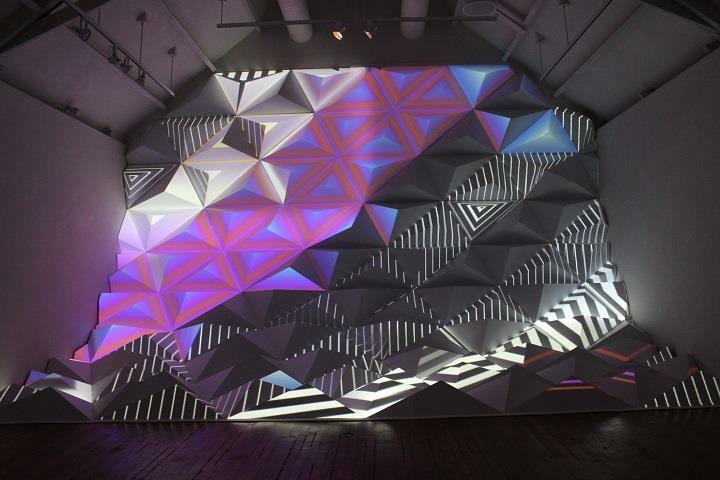 Dev Harlan is a self-taught multidisciplinary artist and designer from New York. 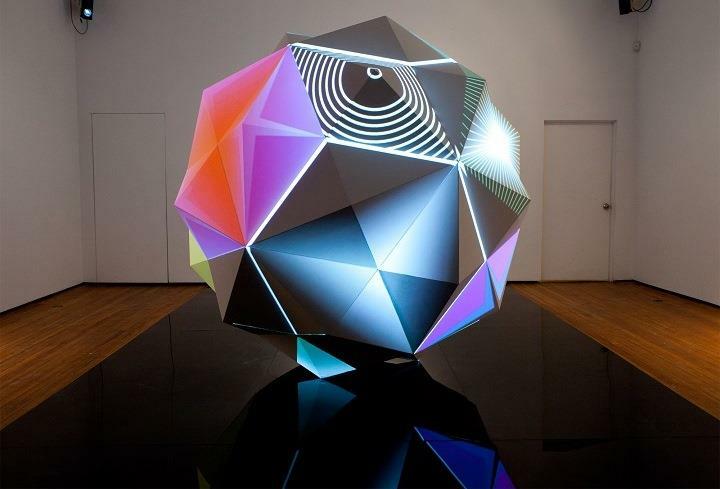 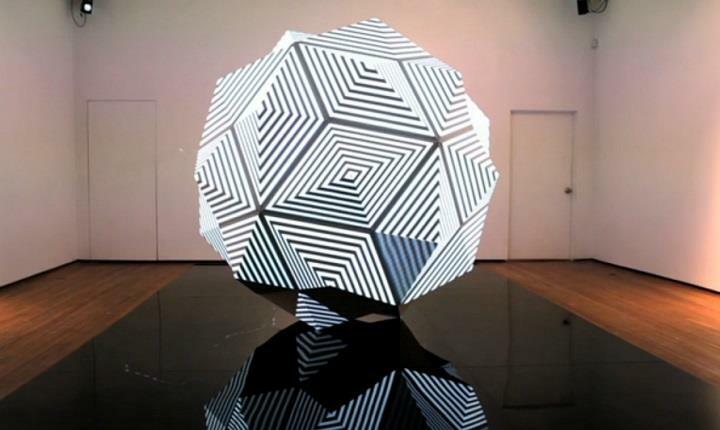 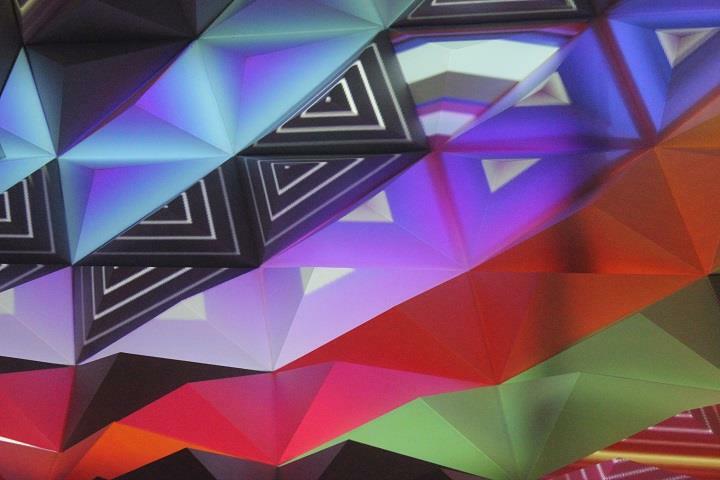 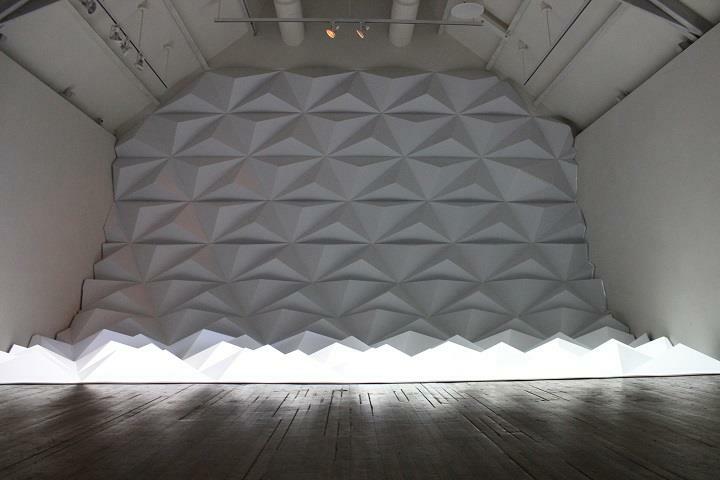 He creates incredible installations using sculpture, light and projection. 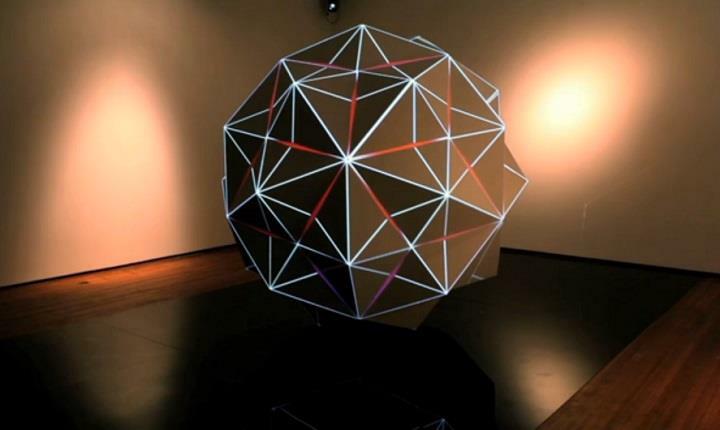 With his uniquely aesthetic language, these large scale works combine the virtual and the physical matter which exists between everything and nothing. 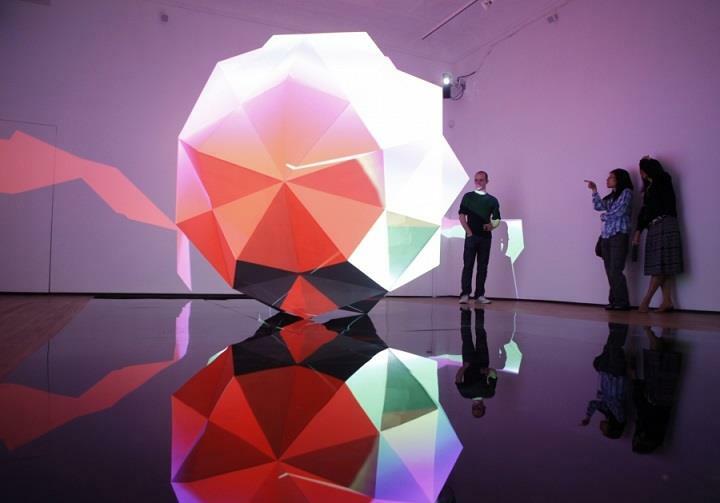 Using a palette of strong, assertive colours, varying vantage points and kinetic geometries, the artist gives his creations rhythm and motion. 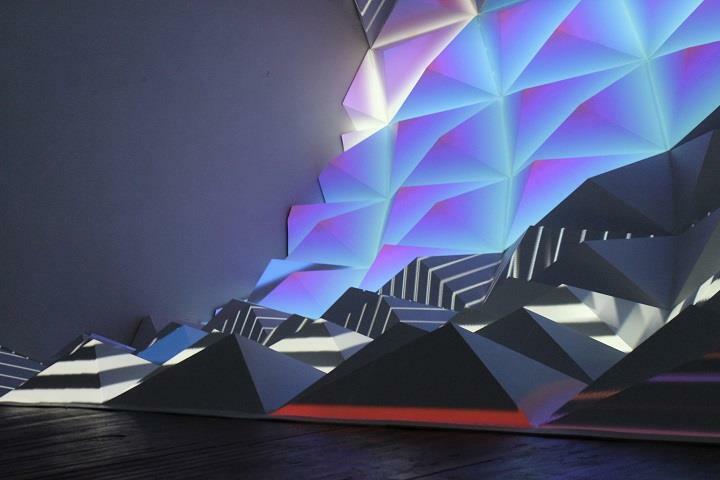 Dev is interested in exploring creative concepts in motion – the surfaces seem to have a life of their own. 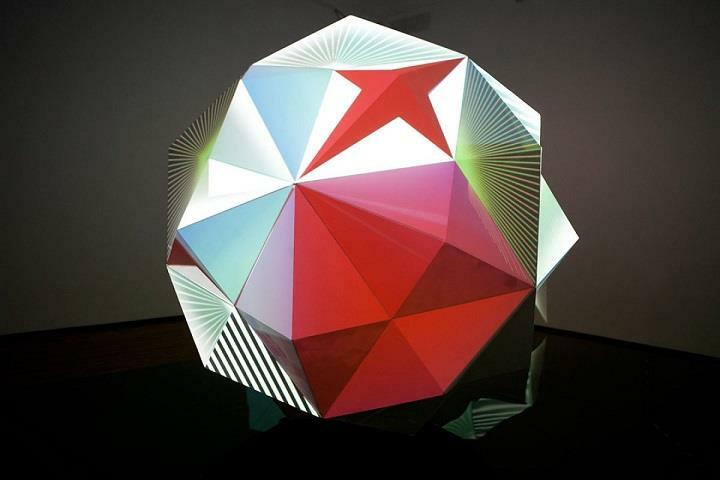 “Parmanides I” consists of many triangular crystal-like facets, all individually illuminated and activated with varied patterns.